Led light curb, one product is leading a city revolution on the landscaping and road safety . This roadside curbstone is based on PE plastic for the material and injection molding, has a strong structure. The hardness, temperature resistance, impact resistance and anti-UV aging performance of production through the international SGS test and certification, the design meet the requirements of the road on both sides of the laying. 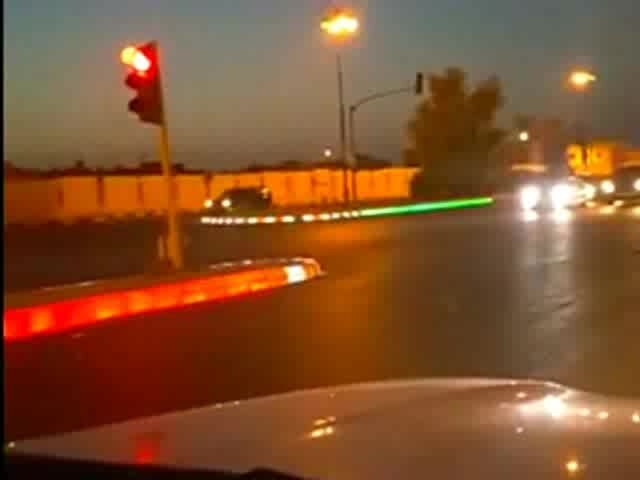 It can install RGB lights, you can also install the traffic light control system,which make the led curbstone according to changes in traffic lights change color. All waterproof design and stable voltage system. 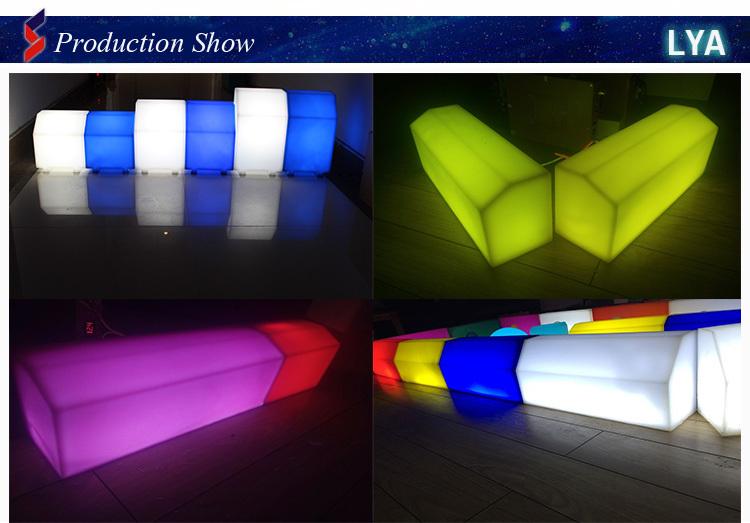 UV standerd:V8,and 1 years warranty both for led and PE curbstone. LED Plastic Kerbstone/Curbstone are the latest and most sustainable alternative to traditional concrete curbs. A light-weight & heavy duty curbstone manufactured from high quality plastics to withstand the different weather conditions. The innovative design features an ability to place an LED light inside to give it more beautiful look,and at same time make traffic road much safer. Also completely recyclable at the end of its usable lifespan. 2. Many times faster to install than concrete kerbs due to reduced weight. 3.Can be handled, lifted and installed without machines. 4.Does not chip or crack; practically indestructible. 5.Resistant to UV, acids, petrol, oil, insects and plants. 6.Much longer working life than concrete alternatives. 7.Better anti-slip properties than concrete. 8.Less than a tenth of the weight of concrete kerbs, significantly reducing transport and labor costs. 10.Better road decoration,more beautiful night scene,drive in a happy feeling and reduce the traffic accident. 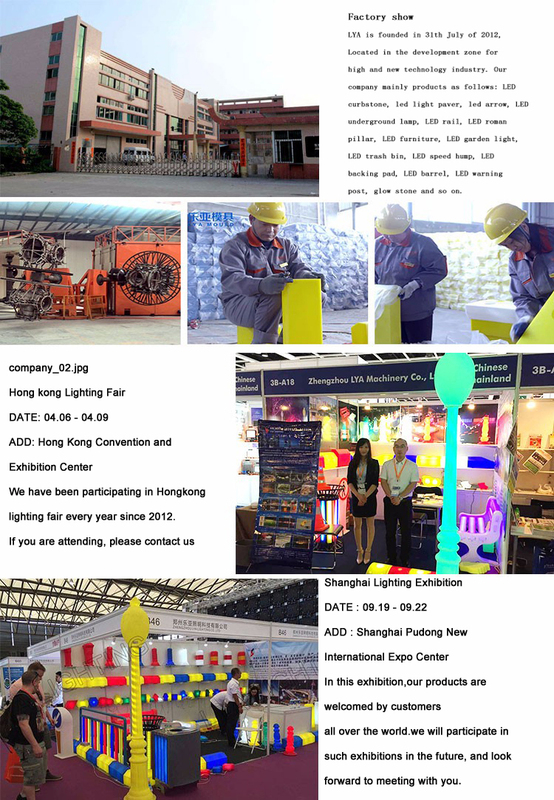 Henan LYA Lighting Co.,Ltd. is a professional company which concentrate on R&D, design, manufacture and wholesale LED rotational products. Our keyword have past SGS, CE and ROHS test, get the patent from Country. 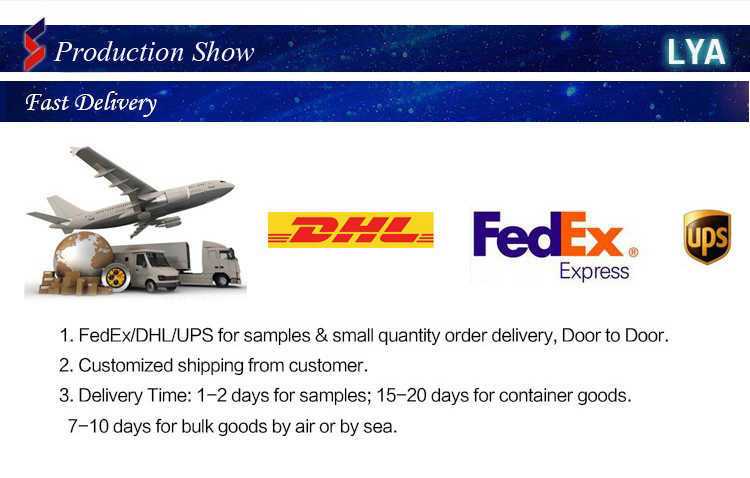 Nowadays, our products have already distributed to USA, UK, UAE, Qatar, Oman, Saudi Arabia, Philippines, Thailand, Ethiopia, Kenya, Somalia, Congo, Ghana, Gabon, Brazil and France. We constant insist on the principle : Traffic Safety & City Beauty. We believe that the quality is our culture and effort to be the leader of led lighting in the world. Q:You are company sell the curbstone or the factory? 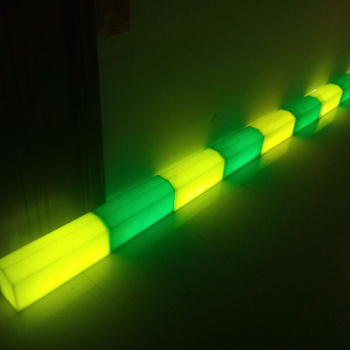 A:We are professional factory produce the led curbstone, welcome to our factory. Q:If the plastic led curbstone can bear the car crash? A:No problem,we have the test,and can send you the video. Q:May I see the sample first ? 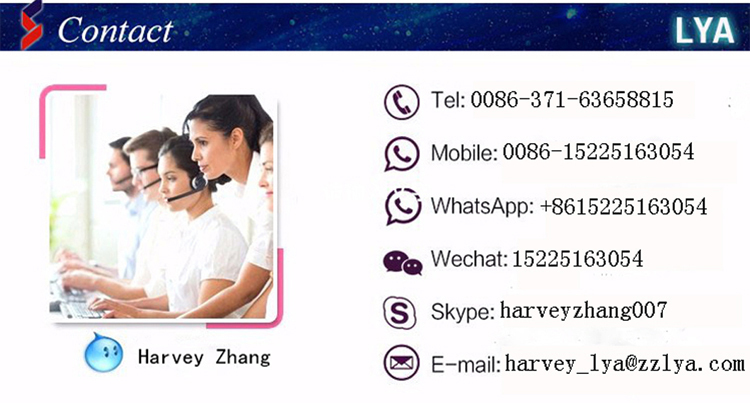 A:Yes, we can send sample,even 1pc is ok.Detail contact with us. Q: How can I pay for my order? A:We accept following payment:T/T(bank transfer) ,Western Union. 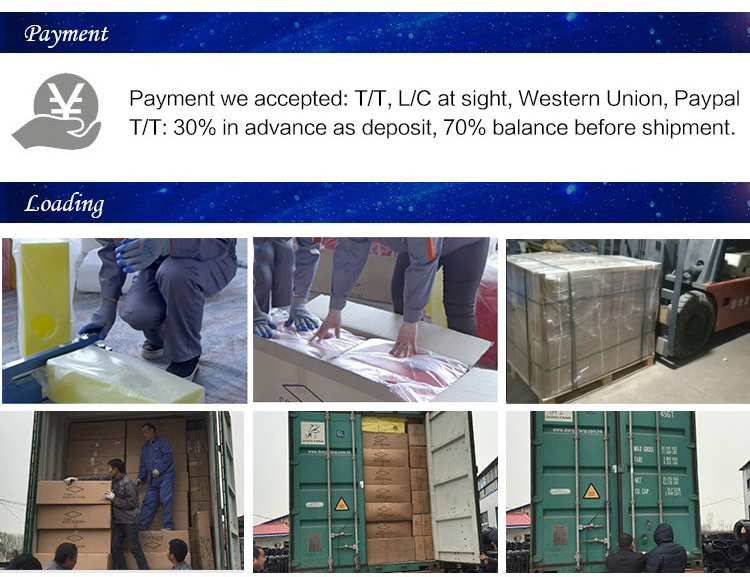 Usually we ask for 30% deposit before production and 70% balance paid before shipping. Q:What's the package of keyword? A:Each curbstone put in a PE bag,and one carton full 11pcs curbstone. 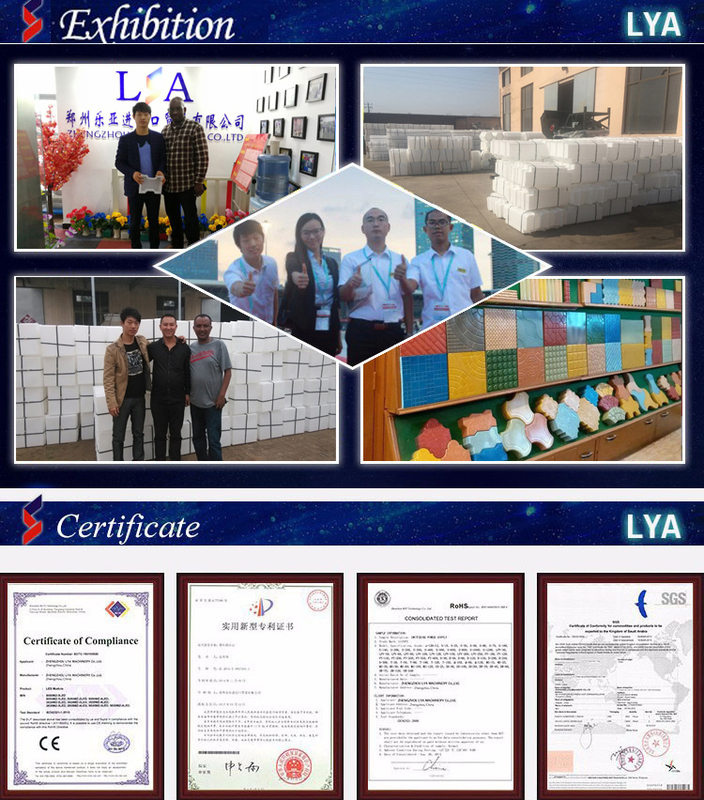 Zhengzhou LYA International Trading Co., Ltd.